Presenting case studies from around the world, this book offers the first extensive discussion of the act of protest as a designed event that uses public space to challenge the distance between institutional power. Public protests are a vital tool for asserting grievances and creating temporary, yet tangible, communities as the world becomes more democratic and urban in the twenty-first century. While the political and social aspects of protest have been extensively studied, little attention has been paid to the physical spaces in which protests happen. Yet place is a crucial aspect of protests, influencing the dynamics and engagement patterns among participants. 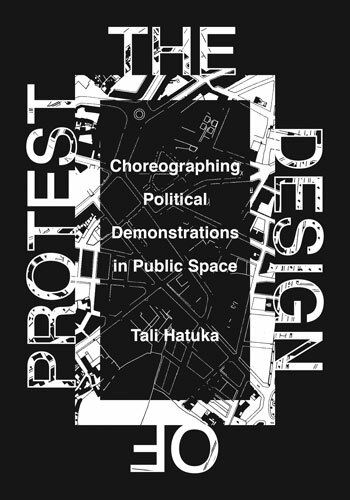 In The Design of Protest, Tali Hatuka offers the first extensive discussion of the act of protest as a design: that is, a planned event in a space whose physical geometry and symbolic meaning are used and appropriated by its organizers, who aim to challenge socio-spatial distance between political institutions and the people they should serve. Presenting case studies from around the world, including Tiananmen Square in Beijing; the National Mall in Washington, DC; Rabin Square in Tel Aviv; and the Plaza de Mayo in Buenos Aires, Hatuka identifies three major dimensions of public protests: the process of planning the protest in a particular place; the choice of spatial choreography of the event, including the value and meaning of specific tactics; and the challenges of performing contemporary protests in public space in a fragmented, complex, and conflicted world. Numerous photographs, detailed diagrams, and plans complement the case studies, which draw upon interviews with city officials, urban planners, and protesters themselves. Does a Winning Spatial Choreography Exist? An architect and urban planner, Hatuka founded and directs the Laboratory of Contemporary Urban Design (LCUD) in the Department of Geography and Human Environment at Tel Aviv University. She is the author of Violent Acts and Urban Space in Contemporary Tel Aviv: Revisioning Moments.